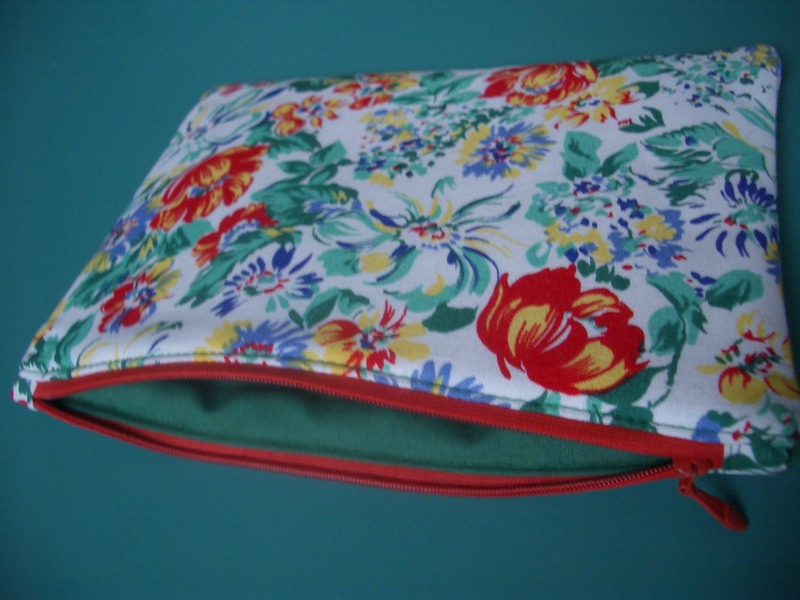 I’ve been making a few zipped pouches as stocking fillers for various female relatives. 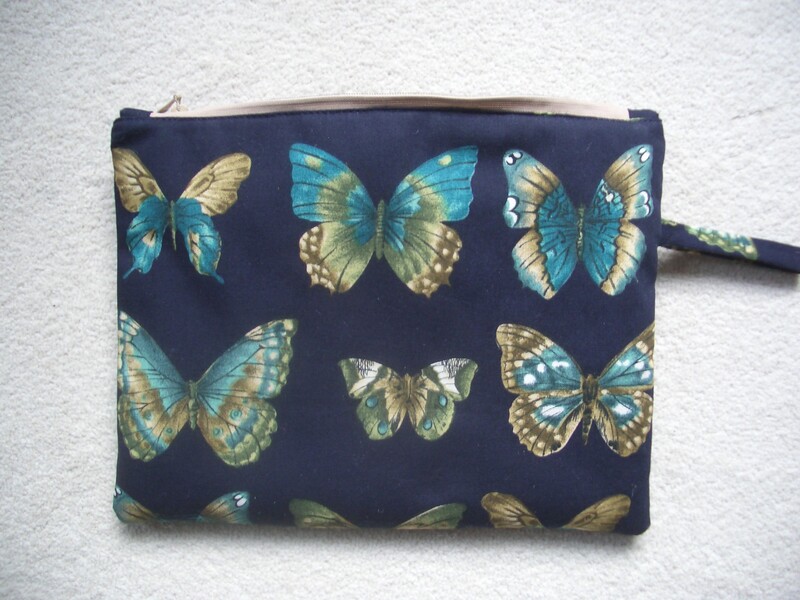 I’m particularly pleased with this butterfly version. I used the fabric to make a kimono dressing gown years ago and I’d forgotten how beautiful it is. There’s quite a large piece left still and I’m sure I could make other things from it. I certainly need a zipped pouch for myself, but it will have to wait until New Year when things have calmed down a little. 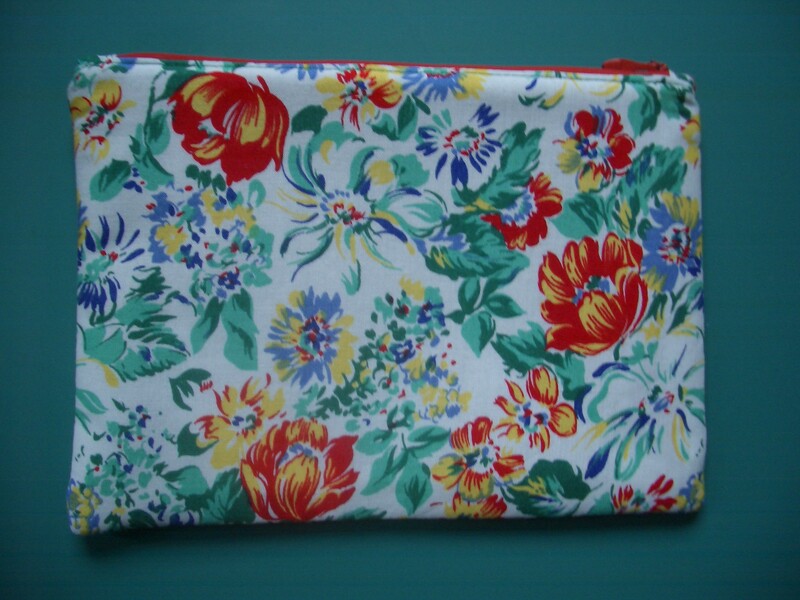 I made another zipped pouch in a flowery cotton I used for a short sleeved summer blouse about 20 years ago. I found a plain green cotton to line it that is even older. I’m pretty sure that it’s left over from a handkerchief-edged dress my mother made for me when I was about 15. 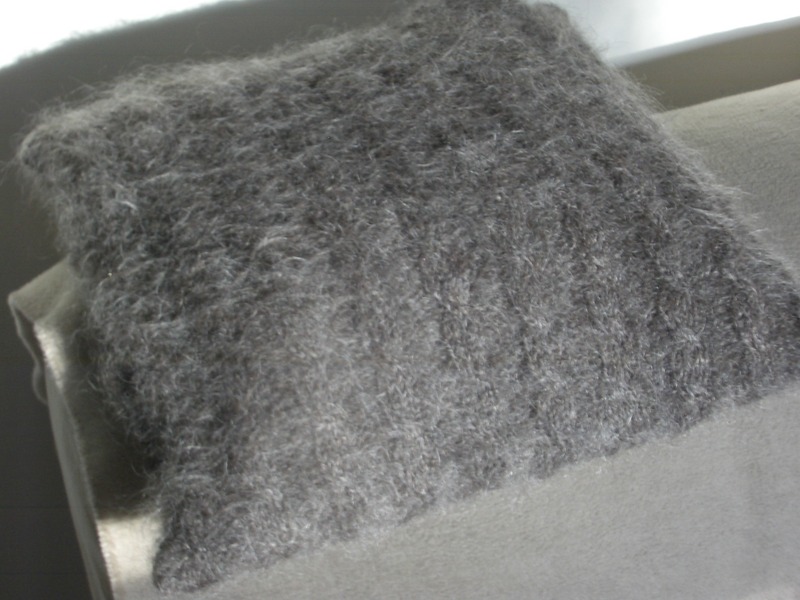 I have made up the cushion cover I knitted from a brushed mohair/alpaca yarn. It needed a lining because the knitted fabric was too soft to take a zip and also too “open” to contain the feathers that occasionally work their way out of the cushion pad. I had a rummage through my pile of fabric remnants and didn’t find anything brown, but I did come across a piece of blackout curtain lining that I thought would be perfect because the rubberised covering would be impervious to feathers. What I forgot was that rubberised fabric is pretty much airtight as well. When I put the cushion pad into the new cover and zipped it up, it was lovely and plump thanks to all the air in it. Unfortunately, when the cushion got a bit squashed behind my back, it stayed squashed even when I moved it, because the air couldn’t easily get back in. Plumping this cushion is a more vigorous activity than normal. I did consider stabbing the lining all over with a skewer, but that seemed a step too far. Ah well, it is more of a decorative accessory than a useful object. 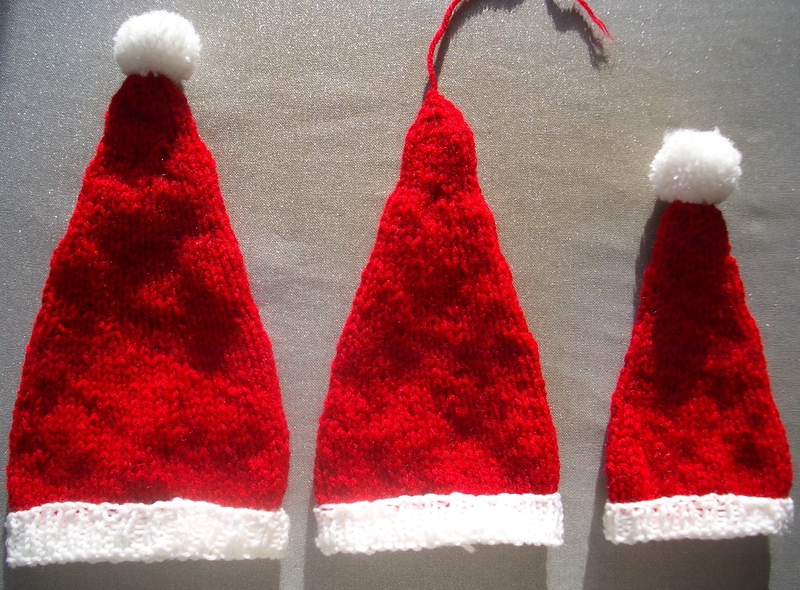 I only managed four of the premature baby Santa hats in the end, but several friends have been knitting them too and I think we have between us achieved Bliss’s target of 30-odd. That is apparently the number of premature and special needs babies that will be born locally over the Christmas period, which makes you think. The sight of a cheerful little Santa hat on the incubator might just bring a smile to the face of a worried parent or two in the next few days. My other hat project, a present for my niece, has not gone so well. She has a small head – goodness knows where she got that from, certainly not my side of the family – and the Hipster hat, although ribbed, was a bit of a stretch for a 40cm (16″) circular needle. As the lower part of the hat is meant to be knitted on 6mm needles and I don’t have a set of double-pointeds in that size, I persevered with the circular. I suspect that this stretched the rib, because it ended up big enough to fit my massive head despite the fact that I had got the right tension when I knitted a to-and-fro swatch on the same circular needle. There was nothing for it but to rip it out and start again. I went down to 5mm needles, the largest size of double-pointeds that I possess. Unfortunately, I bought them for knitting socks and they are only 5″ long, which made it tricky to keep 72 stitches of doubled DK on them. And of course, it was impossible to see how big the ribbed band was ending up until I was well beyond it, because the hat was scrunched up on these ridiculously short needles. 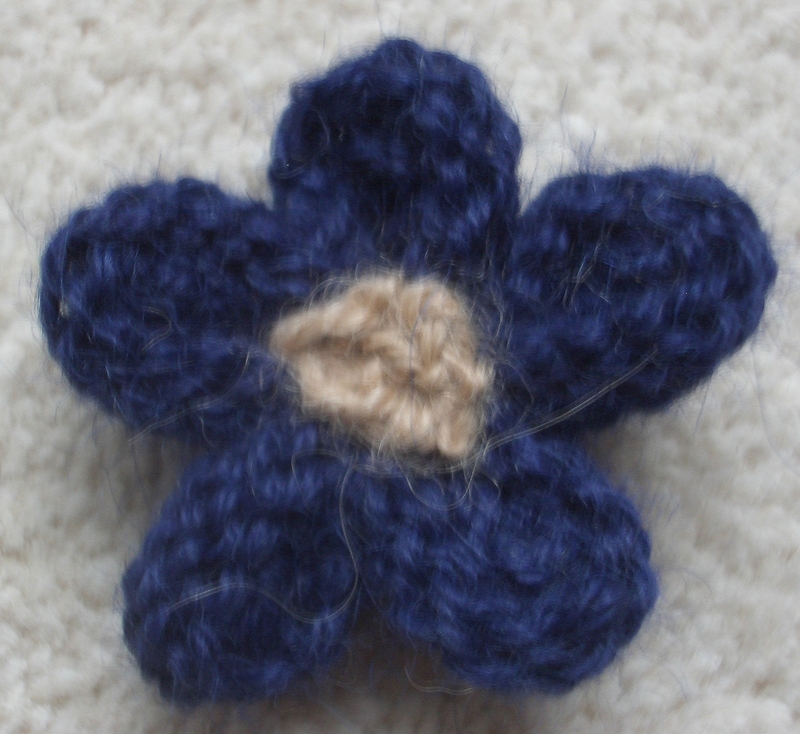 But I’m pleased to say that, once I was half way up the hat and back on a circular needle (on the basis that it doesn’t matter so much if the top part of the hat stretches a little), the size proved to be OK. The hat can be worn beanie-style, with the brim turned back, as in the photo above, or in a more slouchy way with the brim down. The alpaca yarn has turned out lovely and squishy in a rib. 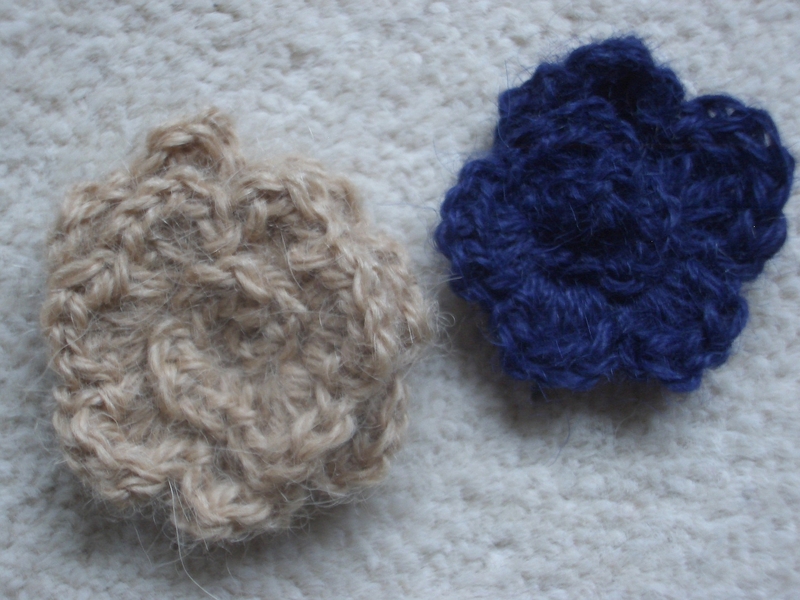 I made three flowers from the finer navy and camel yarn left over from last year’s mittens to embellish it. They are on safety pins so that they can be pinned on individually, or not at all, to ring the changes. 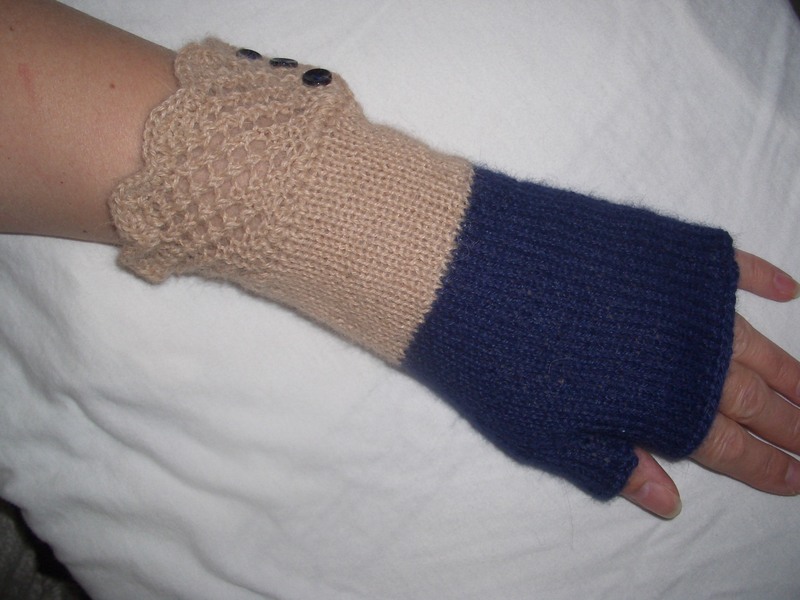 I’m hoping I might actually get chance to make progress on knitting things for myself over the Christmas break. I still have the Nanook cardigan and the Natalie jumper on the go. 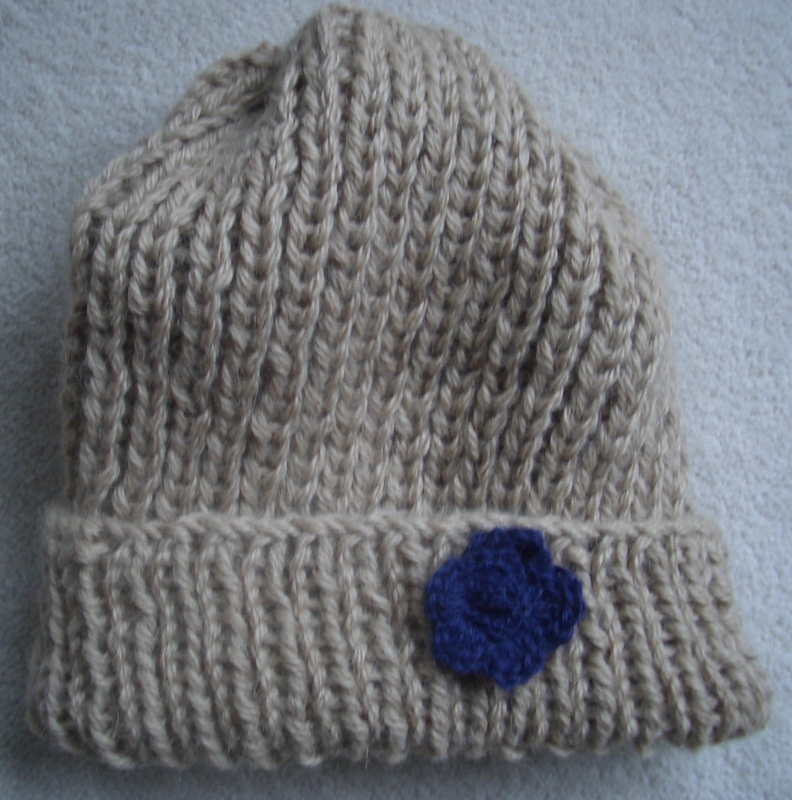 This entry was posted in knitting, sewing and tagged bliss, Hipster hat, zipped pouch. Bookmark the permalink.